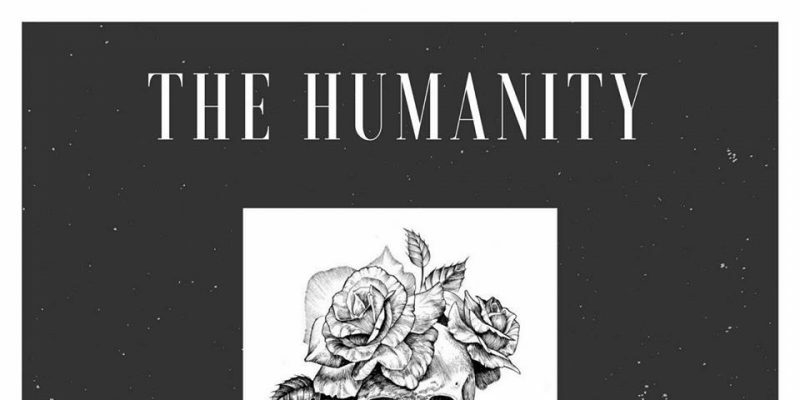 Following the release of her EP The Humanity, we caught an interview with artist and songwriter Gen Dietzel to find out more about the songs on the project and her thoughts on the future of humanity itself. Here’s how it went. Hi Gen, congratulations on the EP. How long was this project in the making, and what made you decide to create it and to include these three songs in particular? I started crafting this EP years ago and have about 20 unused songs just chilling on my computer. These three songs are actually the last songs I wrote. I found that I wasn’t able to connect to a lot of the music that artists have been putting out currently, so I thought that I should start making the music that I wanted to hear. I feel like people are creating music to distract from the times, and I think it can be good to have a distraction, but it’s kind of like going to sleep to avoid a problem — it’s still going to be there. And I’ve always felt music and art should reflect what’s going on in the world. I chose these particular songs because I felt like they all had messages that needed to be shared because the pain behind them is universal. Regardless of an individual’s politics, I think everyone can relate to the emotion behind at least one song. I wanted to access what makes us all human, and I think the human experience is a shared experience as a result of pain and heartbreak and anger and passion. In other words, I chose these songs because, at some point, life has sucked for everyone. What do you hope people take away from this release? Honestly, I just hope that people can take away that it’s okay to feel all the “ugly” emotions. I think it’s wrong that society encourages people to mask their emotions and experiences. We shouldn’t be ashamed of our humanness. Do you believe or have hope that things will get better over the coming decades? Yes. Absolutely. There’s that Dr. Martin Luther King, Jr. quote about the arc of the universe bending towards justice, and I believe that. Justice, goodness, love—I think those things will always prevail. I also think that, for everything one can say about the current political climate, the fact that so many people are aware of what’s going on is a beautiful thing. We are all thinking, and we are thinking in the hope of progress. There seems to be an element of poetic performance to your writing – do you generally start with the lyrics when you write, and how do you begin to craft the musical aspects of your songs? I do generally start with the lyrics and then tweak them to fit the music later. I’m a poet. I majored in literature. The words come more naturally to me than the music does. As far as the musical aspects go, I pluck a few chords out on my keyboard and hope I find a progression I like along the way, and then I build around that. What’s next for you creatively – what are your plans for throughout 2018? I plan to record more songs, but in an actual studio instead of my bedroom. I’m dropping a new single, probably in mid-late May. I hope to be playing more live shows because I think that’s where I really shine. Whether people like the sound or not, I do have a big voice, and I sure do like to use it. Do you perform live, and if so – what can audiences expect from a live show? I’m actually about to play my first live show on 4/28! I mean, I played coffee houses and stuff in high school, and I come from a theatre background so I have experience performing for people, but this is different because I have a “sound” now. I can’t really say for certain what my live shows consist of considering I haven’t played one yet, but personality wise, I’m pretty goofy and I’ll probably tell some self deprecating jokes between songs. My music is serious, but generally, I’m not. I want everyone who sees me to feel like they know me. I value intimacy in performances. I decided to write Mad Girl’s Love Song after I read a paper I wrote when I was 15 about the Sylvia Plath poem of the same name because I wanted to prove I deserved a higher grade on the paper. I don’t know why I find that so funny, but I do.